We have just completed work in Edgbaston, Hodge Hill, Selly Oak and Northfield districts..
Click on these 4 districts to learn the stories of how these musical creations were made via photos and blog posts. You can also listen to each district’s field recordings and the new music created by each composer/community collaboration. 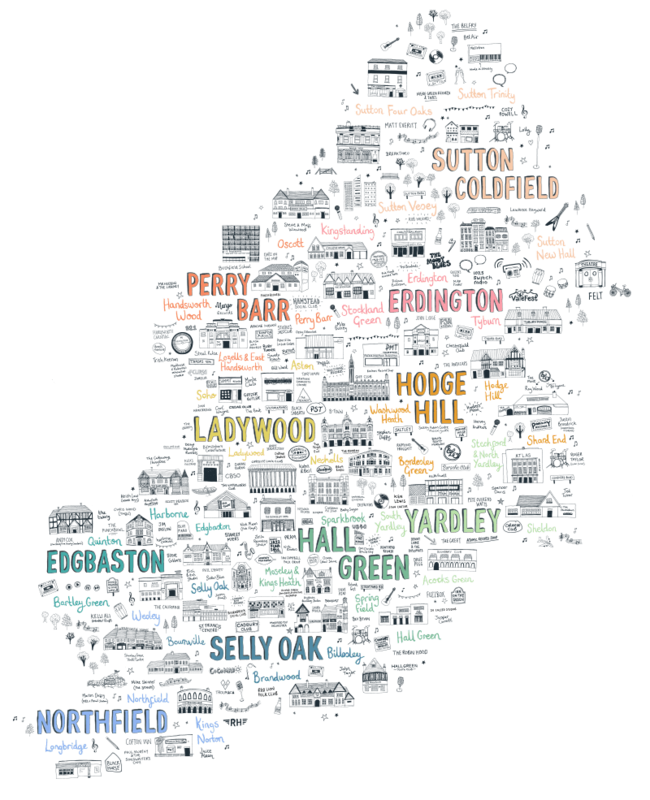 In year 2 (from October 2017) we’ll be working in Erdington, Hall Green, Ladywood, Perry Barr, Sutton & Yardley Districts. Map illustrated by Claire Hartley and curated by Birmingham Music Archive.